Melissa officinalis: the Latin name for this herb comes from the Greek meliteion, which means “lemon balm”. The word stem meli (Greek for “honey”) comes from the fact that lemon balm is cultivated as a plant for bees. Officinalis means “officially used as a medicinal plant”. 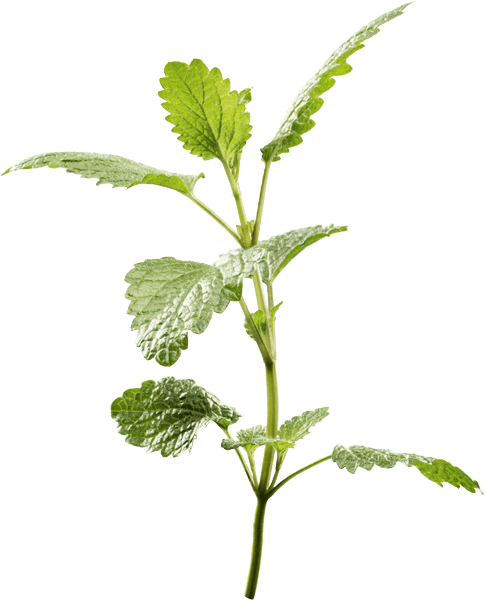 Saint Hildegard wrote about lemon balm as far back as the 11th century: “Lemon balm contains within it the virtues of a dozen other plants”, being especially adept at relieving anxiety and sleeplessness.